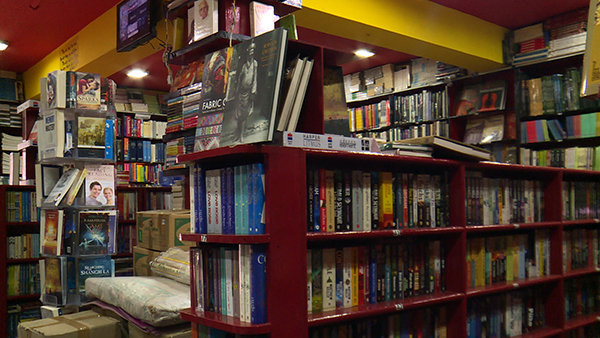 Bookstore owners in the country say registering every book title with Bhutan InfoComm and Media Authority (BICMA) is illogical. BICMA Act mandates all the stakeholders to register internationally published books. Even though the rule was in place since 2006, BICMA began enforcing it only recently. Rules for Publication states all imported publication registered for sale and distribution within Bhutan shall carry “BICMA registration number” on the first page of the book. “I had almost 100-200 titles that I bought from DSB because they are also a distributor. Now will they give me a separate registration or will they ask me to use the same registration?” said the owner of Tashi’s Childern Bookshop, Tashi Choden. They now also have to pay additional Nu 5 for every book title as registration fee to BICMA. The bookstore owners are already paying 25 percent tax on imported books. “We have tens of thousands of books in our book stores and it counts to more than 100,000 titles. If we have to pay Nu 5 per book, then we land up paying more than Nu 500,000 for the books which we have bought already for the last 24 years paying the government taxes,” said DSB’s owner, Bedhu Prasad Bhattarai. BICMA had brought down the registration fee from Nu 500 to Nu 5 in March, this year. BIMCA, on the other hand, say the whole registration process is to filter the content of imported books. He says if the bookstore owners do not adhere to the rules and regulation, BICMA may cancel their licenses. Well there we have it, another mediocre rule. A rule to filter out the books which are being imported. There already an increasing number of people reading less books. People now simply download a book and read it as an e-book. How do you suggest to filter that out. I do not know much about the taxes being levied but if it is really the goal of having a 100% literacy rate where every child enjoys a good read now and then i do not think filtering out an already slim selection of books is advisable. this is coming from a modest reader. think of those people who really likes reading. the capital city has more number of bars and game halls than bookstores and libraries combined. Shocking!, isn’t it? there are some books which might be deemed a little to R-rated for young readers but parental and distributors can deal with it. there is a need of sensitization, I agree with it but the approach here is a tad bit worrisome. There is no point in putting someone in the corner. No one is to blame. It is said that the rule was written in the act back in 2006 when it was drafted but took almost 10 years to be implemented properly. Well this shows the serious need of oversight. An act is drafted and meant to be implemented but it isn’t absolute. If an issue, such as this one that we are faced with, arises there are ways and methods to amend it and make it better. It can always be put up for appeal by concerned bodies or organizations. Well I would like to put up a suggestion. Instead of enforcing such rules and limiting the number of books people are accessed to, why not just let it be as it is and get more people to read. Reading has not proven to be fatal. Give a book as a gift. Slouch in a cozy corner and read. Sip a good cup of tea and read while enjoying the weather. It doesn’t hurt to read. Please let us read. 2015 was dedicated as the National Reading Year for Bhutan and every single parents and teachers like to encourage their children to inculcate reading habit. Since, reading is one of the basic foundations for improving other skills such as writing, speaking and listening. Furthermore, libraries across the countries are already in tight budget and not being able to cater the needs of users with more patrons expecting to deliver them with a new title books, be it scientific or pleasure reading materials. On the other hand, agency like BICMA is now initiating to run in reverse to parents and teachers effort by implementing Bhutanese book vendors to register every title of imported books with BICMA and imposes Nu.5 as registration fee. We do not understand the BICMA’s intend and purpose of implementing such a ridiculous Act. We are given to understand that BICMA’s main rationale was to filter the content of the book. Firstly, Bhutanese citizen as a reader has a right to read any content they wish, which may be good or bad. Readers are responsible for filtering their reading materials and information. Secondly, book is not the only reading material/resources at this century. Information contained in books may not be as bad as information available on the internet. Every piece of good or bad information is freely available on internet, if one wishes to read. How do we filter, authenticate and make sure that information available on the internet is reliable and valuable for Bhutanese citizens? This is something BICMA should be concern rather than of information from imported books. Information and knowledge acquired from imported books may be very minimum comparing to the information obtained from the internet. Thirdly, its next to impossible that BICMA will have time to review every single title of import books and filter the content. And insignificantly irrational to have BICMA register Number on internationally published books. These books does not remain with vendors, its ultimately used by public and once the books are sold to a reader, who cares about registration numbers nor it will serve any purpose for classification or cataloging when it reaches to libraries. If BICMA exclusively desires to filter the content of imported books, prior to drafting this act, the agency could have been consulted with librarians across the country. There are many professional librarians, who deal with books and its content information in their entire life. And also may be better knowledge and experience, when it comes to drafting such Acts, if its genuinely required. Finally, who will bear the cost of BICMA’s registration fee, ultimately, readers or our youths and education agencies will have to incur the registration fee cost, as the book vendors will embed the cost. It will discourage our youths to instill reading habit as books become expensive to procure.